A plant for pond edges, bog gardens and other wet sites, horsetail (Equisetum hyemale) grows in stands of bamboo-like, dark green stems. Also called scouring rush, horsetail is hardy in U.S. Department of Agriculture plant hardiness zones 3 through 11, and is a member of an ancient plant family that dates back 350 million years, notes the Missouri Botanical Garden. One reason for this perennial's long survival is its extremely aggressive spreading habit, but growing horsetail in containers gives you some control. Horsetail spreads outward through underground stems called rhizomes, and containers provide a barrier to these rhizomes. 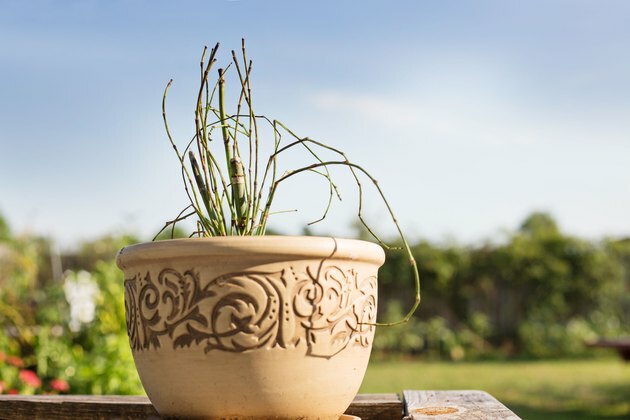 Plant horsetail in a container, with drainage holes, that's just large enough to accommodate the plant's root ball. Place a sheet of fine mesh, such as screen mesh, over the drainage holes to prevent horsetail rhizomes from growing through them, and spread a layer of general purpose potting soil over the mesh. Place the horsetail in the container. The top of the root ball should be 1 inch below the container rim. Fill in gaps around the root ball with more potting soil, and apply water until it runs though the drainage holes. Horsetail thrives in water gardens and on stream banks. 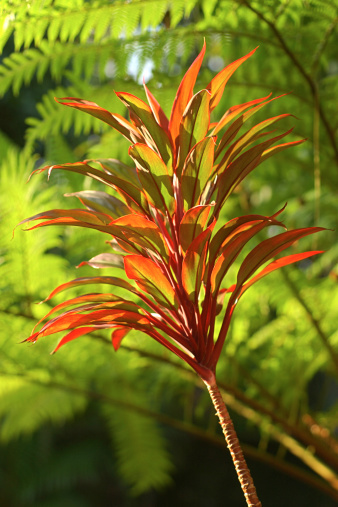 Providing year-round color and structure in wet, full-sun and partial-shade sites, horsetail tolerates water to a depth of 4 inches over its roots. 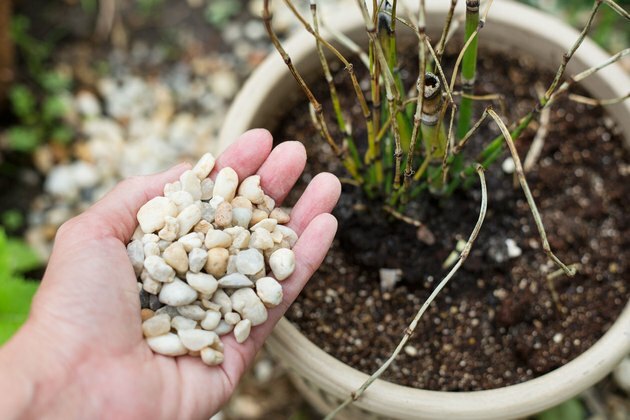 To add horsetail to your water garden or pond site, spread a 1-inch layer of gravel over the potting soil in the horsetail container to protect it. Place bricks on the bottom of the planting site to provide a firm, level base. Sink the horsetail container into the water slowly until it's submerged and resting firmly on the bricks. Horsetail provides strong, vertical lines in Japanese gardens and can grow where few other plants survive. 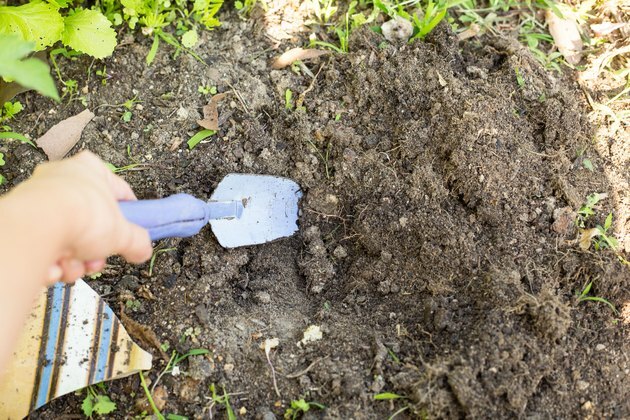 Dig a hole 2 or 3 inches wider than the horsetail container and 1 inch less deep. Place the container in the hole, and check that it's level. Twisting the container and pushing down gently helps level the container and firm the soil beneath it. Check that the container rim is protruding from the soil by 1 inch, and fill in the gaps around it with dug soil. Water the ground around the container to settle the soil, and fill in any hollows with more soil. Prune regularly to control horsetail's spreading habit. Horsetail grows 2 to 4 feet tall and spreads indefinitely in favorable conditions. 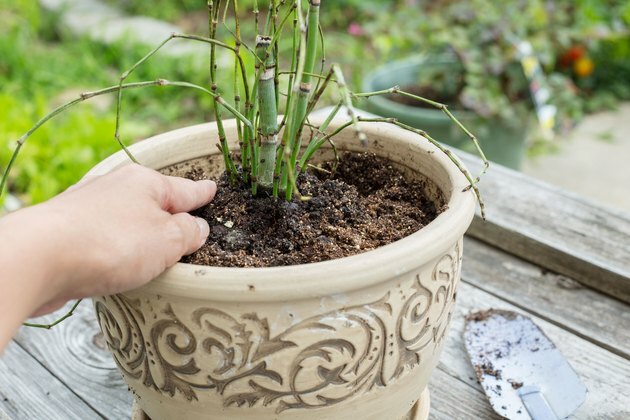 Check the horsetail monthly, at least, for rhizomes climbing over the container rim and stems with cone-like, spore-producing heads, which usually appear in spring. Clean pruning shear blades with rubbing alcohol, and prune escaping rhizomes and fruiting stems at ground level. 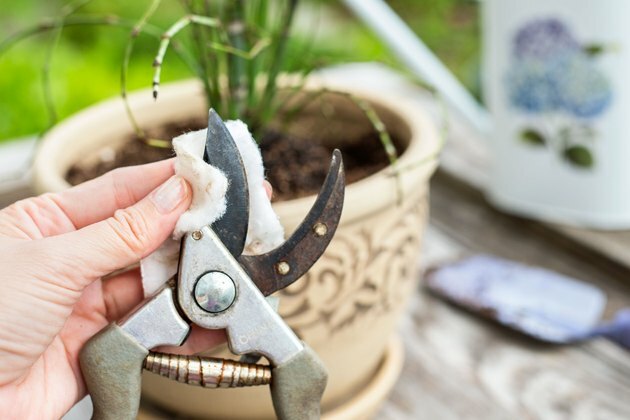 Wipe the pruning shear blades with rubbing alcohol again after use. Place pruned horsetail debris in a sealed plastic bag in the trash. Don't grow horsetail in areas accessible to pets or livestock. Horsetail can be deadly to animals when eaten. 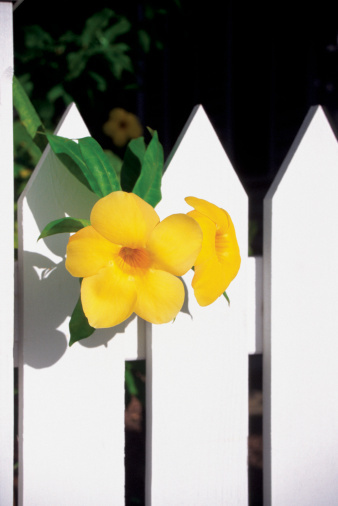 Can You Plant Trumpet Vine in Containers?